AWcloud's Enterprise OpenStack Bootcamp is an entry-level in-house training that will provide the main architecture of OpenStack clouds, configuration of each OpenStack component and debugging techniques. 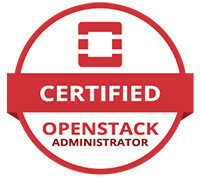 Besides in-depth coverage of OpenStack technologies. Hands-on exercises are also provided to make students better understand. The duration is 4 days. AWcloud's Free OpenStack Technical Overview course is an entry-level public training that will provide the history, development and main building blocks of OpenStack. It also provides a shortcut to deploy OpenStack clouds for minutes. The duration is 2 days. AWcloud's Enterprise OpenStack Administration Course is an advanced-level in-house training carefully designed for IT managers and engineers. We start from Linux fundamentals and operation, to OpenStack development, architecture, configuration of main blocks. We also provide analysis of real-world cloud use cases and operation scenarios, covering design, customization and optimization. Through hands-on labs, we will explore high availability, fault-tolerant and redundant configurations for production environment. The duration is 45 days. This course is co-operated with institutes, colleges and universities to provide a professional curriculum of cloud computing in the context of OpenStack. The duration is 66 days.